At its simplest, an audio interface lets you record external sounds such as vocals and instruments into your computer, converting them from analogue to the required digital format en route, and performs the opposite function on the return journey from computer to amp/loudspeakers. Whether you're a newbie or a seasoned pro, there's now a bewildering choice of audio interfaces available, at prices ranging from pocket money to arranged loan. 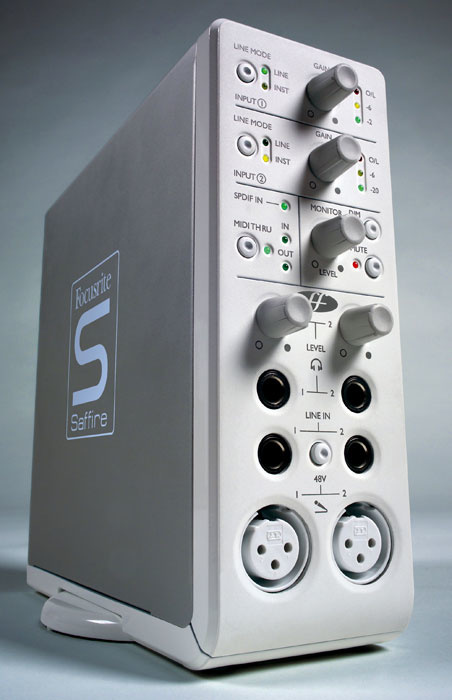 We're regularly asked on the SOS Forums 'which is the best audio interface? ', but even if we know the available budget that question is impossible to answer without knowing what the person asking it wants to achieve. After all, the best audio interface for a musician creating electronica may be totally different from one used to record a live band, while if you only require stereo inputs and outputs, within a given budget you'll generally get better audio quality than spending the same amount of money on an interface with eight or more channels. To successfully choose the perfect audio interface for your own particular requirements isn't difficult if you follow some basic steps to narrow down the options. Follow this SOS step-by-step guide to make a more informed buying decision. If you don't want to be faffing about buying extra preamps, look for audio interfaces that feature 'versatile' inputs that cater for microphone, instrument and line-level sources, such as Focusrite's Saffire, shown here.The third main type of audio interface input is for an 'instrument', most often the electric or bass guitar, but also the piezo pickups used on acoustic guitars and other acoustic instruments. The output from such pickups often falls between mic and line levels, and will overload mic inputs unless you're able to turn their gain down by a considerable amount. Compared with mics, magnetic pickups also require a higher input impedance to avoid high-frequency loss; guitars with passive pickups like to 'see' at least 100kΩ to avoid high-frequency loss, and preferably 1MΩ. However, if you're a guitarist, don't agonise over an otherwise perfect audio interface if it simply lacks an instrument input: you can buy a DI (Direct Injection) box that will let you plug a guitar into a mic input, or use one of the various 'Pod'-type preamps with line-level output for more control over your tone and effects (we'll be talking more about such options in the 'Useful Extras' section). So what inputs will you need? Well, if you're working with pre-recorded samples, loops and software synths, you may not personally record any signals at all, in which case the most basic stereo line-level input will almost be more than you need (although those two inputs are still likely to come in very handy at times, even if only to transfer other analogue-based music into your computer). There are plenty of classic budget interfaces with two basic analogue inputs and outputs, including the Echo AudioFire2, Emu 0404, ESI Pro Juli@, and M-Audio Audiophile 192. If you're recording your own live performances, you're unlikely to need more than one mic input for vocals and one instrument/line-level input for guitar/bass/keyboard, or two if you want to record your sources in stereo. Many interfaces offer two 'versatile' inputs that can accept mic, instrument and line signals, and these are also suitable for more ambitious multitrack work, as long as you're happy to overdub one track at a time. Recommended examples include the Edirol UA25 EX, Emu 0404 USB, Tascam US-144/122L, Presonus Firepod and Focusrite's Saffire and Saffire LE. If you're recording other musicians your requirements may vary considerably. Interfaces featuring four inputs are comparatively rare (Digidesign's M Box 2 Pro and TC's Konnekt 24D are two), but would cope with a duo or small ensemble. Far more common is the 8-input interface, which is probably the minimum number of channels that you could get away with for recording a live rock band. For instance, you could use four mics on a drum kit (kick, snare, and two overheads), plus guitar, bass, vocals and mono keyboard. 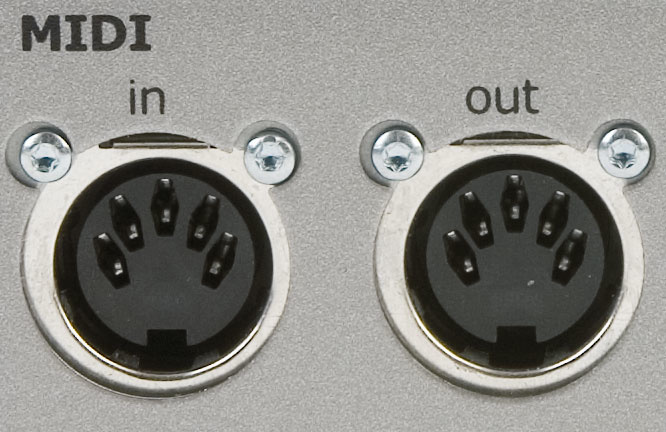 The Digidesign M Box 2 Pro is one of the few interfaces that offer four inputs, a useful halfway house between simple stereo interfaces and the many 8-input devices on the market.There are plenty of interfaces in the 8-in/8-out line-level analogue format, from Terratec's Phase 88 series at the budget end of the market, through popular mainstays such as RME's Fireface 400 (with two mic preamps), to highly sophisticated models such as Apogee's Ensemble and the Prism Orpheus at the other (both of which also feature four mic preamps). If you prefer to have eight mic preamps built in to the interface, recommended models include Focusrite's Saffire Pro 26 I/O, the Presonus Firepod, M-Audio's ProFire 2626 (reviewed in this issue), and MOTU's 8pre and 896HD. Other combinations are also available, as on MOTU's Ultralite, which offers two mic/line/instrument inputs, six more line-level ones and 10 analogue outputs. To cater for live backing vocals, stereo keyboards, and so on, further increasing the number of analogue inputs can be done in two main ways. For many musicians the easiest approach is to buy an 8-channel combined preamp/converter box such as as Behringer's ADA8000 or one of the Focusrite OctoPre series, and plug its output into the ADAT input port found on many audio interfaces (see the 'Digital Extras' box). Each ADAT port supports up to eight extra channels at standard sample rates. If, on the other hand, you need more of everything, combining the features of two identical 8-in/8-out interfaces into one 'super interface', to achieve 16 inputs, is probably wiser. For this to work on a PC, the interface manufacturer must offer 'multi-device drivers' (most support up to four devices, giving you the potential of 32-in/32-out), plus a way to lock the digital clocks of all the devices together so that the combined inputs and outputs remain in perfect sync. One very popular candidate in this category is RME's Fireface 800, which also features two pairs of ADAT ports for further expansion. However, even if you only currently need one 8-input interface, buying one with multi-device drivers may make it much easier and cheaper to upgrade to a larger setup later on. A few manufacturers also offer more I/O in a single package — for instance, MOTU's 24I/O has 24 analogue line-level inputs and outputs in its compact, 1U rackmount case, while a combination of Lynx's Aurora 16 and AES16 card will give you 16 ins and outs. Digital I/O is important to many musicians, since it enables them to connect up compatible studio gear without having to pass their audio through additional analogue-to-digital conversion stages and cause possible degradation. S/PDIF (Sony Philips Digital InterFace) is a two-channel consumer format that uses either coaxial phono or Toslink optical connectors, and is useful for connecting DAT or MiniDisc recorders, CD players and rack effects with digital interfacing, as well as a few keyboards or synths that offer digital output options. Although some interfaces provide both coaxial and optical connectors, don't worry if your otherwise perfect interface has the wrong kind to plug in your other gear; format converters such as M-Audio's CO2 Coaxial/Optical Bi-Directional Converter are comparatively cheap. ADAT (Alesis Digital Audio Tape) uses an identical Toslink optical connector to the S/PDIF format, but supports up to eight simultaneous digital audio channels, which is a great way to cater for future expansion without breaking the bank. 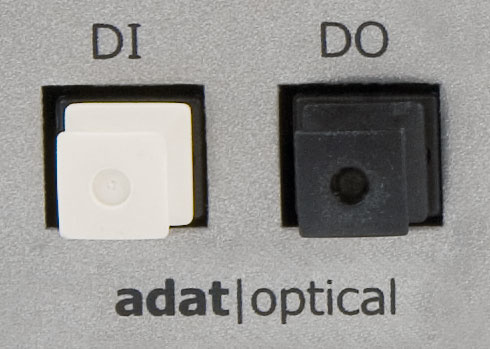 ADAT normally only supports sample rates up to 48kHz, although some interfaces license S/MUX (Sample Multiplexing) technology that can optionally combine two ADAT channels to carry a single 24-bit/96kHz signal, enabling them to offer 96kHz support with half the number of channels. One obvious partner is an ADAT or similar multitrack recorder (sometimes a safer way to record live gigs that you can then transfer to your computer for mixing later on), but nowadays ADAT inputs are just as often found connected to combined preamp/A-D converter boxes to add analogue inputs (see main text), and ADAT outputs connected to 8-channel D-A converter boxes to provide more analogue outputs, both in multiples of eight channels. There are plenty of examples of interfaces with ADAT expansion possibilities, including Emu's 1820/1616 series, the M-Audio Firewire 1814 and the MOTU 2408. Remember, though, that models incorporating numbers in their name generally refer to the total number of inputs and outputs including all the digital ones, and once ADAT I/O is involved this makes a significant difference to the analogue complement. For instance, Emu's 1820M has 18 inputs and 20 outputs in total, but only six analogue inputs and eight analogue outputs, while the MOTU 2408 features 24-in/24-out ADAT plus 8-in/8-out analogue, and the newer MOTU 828 Mk3 has 16-in/16-out ADAT plus 10 analogue ins and outs. There are even some interface models (such as the M-Audio ProFire Lightbridge, RME HDSPe RayDAT and Presonus FireStudio Lightpipe) that provide little or no analogue I/O, instead offering rows of ADAT ports so that you can add your own choice of analogue converters as required. Other digital I/O to be found on more upmarket interfaces includes AES-EBU (Audio Engineering Society/European Broadcasting Union), another stereo format complementing more professional gear such as A-D and D-A converters and various multitrack digital recorders, and word clock, for those with lots of digital gear that could benefit from being clocked from one central source. If you're a beginner with a small studio you probably won't need either of these, and if you're an established professional you'll probably already know what specialist digital connectivity you require. What Are All The Outputs For? Deciding on the most useful number of outputs for your perfect audio interface is a partly academic exercise, since products mostly offer an equal number of inputs and outputs (notable exceptions include M-Audio's 4-in/10-out Firewire 410 and Echo's 2-in/8-virtual out Mia). This may seem bizarre to all those musicians who want to record a band and listen back in stereo and are therefore looking for an 8-in/2-out interface, so let's see what you can do with all the other outputs on the far more common 8-in/8-out models. If you want a lot of simultaneous recording and playback channels in a small package, manufacturers such as MOTU are keen to help with interfaces like their 2408 and particularly their 24I/O, which manages to squeeze 24 analogue inputs and outputs into a single 1U rackmount package.One obvious use for additional outputs is in a 5.1 surround setup, which requires six outputs (left, right, centre, left surround, right surround and Low Frequency Effects channel). Some interfaces include handy integral surround management features that handle the filtering and distribution of your surround mix to the various loudspeakers. 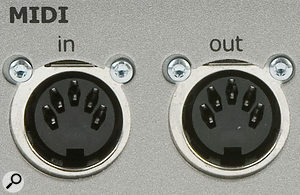 Although surround hasn't taken off in a major way with professional musicians, such features are now fairly common on mainstream audio interfaces (such as Creative's Audigy series and Terratec's DMX 6Fire) intended for games use, and do also appear on various interfaces designed for musicians, such as M-Audio's Firewire 410 and Delta 1010LT, as well as high-end products such as the Prism Sound Orpheus. Echo's Mia provides four stereo pairs of virtual outputs available to software, which are mixed internally to emerge as a single physical stereo output. This approach means that you can run four separate software applications (perhaps a sequencer, stand-alone software sampler and a couple of stand-alone soft synths) and combine their outputs into one interface, which a lot of musicians have found really handy. Interfaces with lots more outputs than inputs, such as M-Audio's Firewire 410 shown here, are useful for surround playback, distributing multiple headphone monitor mixes to performers, or for analogue 'out of the box' mixing.Pairs of inputs and outputs can also be pressed into service to patch in outboard effects such as analogue EQ, compression or tape/tube enhancement. You'll need to allocate one interface output per mono send and one input per mono return, and then, by routing your computer audio tracks to the appropriate output using your sequencer, and retrieving them from the effect box, you can add outboard effects to computer-based mixes. Some sequencer applications, including the Cubase/Nuendo family, even provide functions that can automatically compensate for any 'round trip' delays, so that the effected sounds remain in perfect sync with your other tracks, but if yours doesn't you can manually drag these tracks into line. Possibly the most fashionable use for spare inputs and outputs at the moment is to patch in an analogue summing box or analogue mixer, so you can mix computer-based compositions 'outside the box', by allocating each audio track (or 'stem' submixes such as drums, vocals and so on) to a different hardware output connected to the summer/mixer, and allocate two inputs to route the resulting stereo mix back into your computer. Given analogue gear of sufficient quality, you can add a certain something to the mix that 'glues' it together compared to a totally 'in the box' mix. Most musicians concentrate on audio features when drawing up their shortlist of suitable interfaces, but it's worth bearing their MIDI features in mind as well. 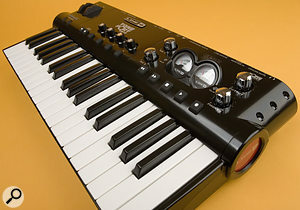 Many modern keyboard controllers and MIDI controllers provide a direct USB connection to computers, so you may need no MIDI ports at all, and if you have more than a couple of MIDI devices to connect, investigating a dedicated MIDI interface may be more appropriate. If you only have a couple of rack or keyboard synths with standard MIDI outputs, many audio interfaces offer one or more MIDI inputs and outputs alongside all the audio I/O, which may save you having to buy a separate MIDI interface, and also avoids any possible conflicts between the two when streaming data. Dedicated headphone-level outputs mounted on the interface front panel are also important to many musicians, as they enable you to monitor while recording, as well as play back audio when you don't have suitable loudspeakers available (on location, perhaps, or in a room with poor acoustics that make it difficult to take sensible mixing decisions). With a laptop computer, plus an interface that's bus-powered (ie. drawing power from the computer it's plugged into) and has a headphone socket, you might even be able to run everything from battery power. Having DSP effects built into an interface can be a great help, particularly during the recording stages when you want performers to hear themselves with effects, but without any off-putting computer-based delays. TC Electronic's Konnekt 24D features a channel strip with EQ, compressor, de-esser and limiter, plus a high-quality reverb.Some interfaces feature two or more dedicated headphone outputs, which can be very handy during live band recordings (although you may not be able to send separate different monitor mixes to each one). If you do a lot of live recording, extra line-level outputs can also be pressed into service to provide different headphone monitor mixes for the performers, although you may need a separate multi-channel headphone amp to bring the line-level outputs up to a sufficient level. Headphone outputs invariably have analogue level controls, but relatively few interfaces provide analogue level controls for their main stereo line-level outputs. This is a shame, since it's far safer to have hardware control of loudspeaker levels, so you can turn them down quickly in the event of a fault or computer crash, to protect your loudspeakers and ears. Now that more and more musicians are using active monitors without easy-to-grab level controls of their own, a few interface manufacturers, such as Focusrite and TC Electronic, are finally adding analogue output controls to their interfaces. Most audio interfaces incorporate hardware DSP (Digital Signal Processing) to provide their on-board mixing functions, so you can mix together various input and output signals and send them to specific outputs for monitoring purposes. However, recently there's been an explosion of interfaces offering special DSP functions such as effects, physical modelling, and bass management for surround systems. The lines between audio interface and other studio gear are becoming increasingly blurred, as with the Line 6 Toneport KB37, which is a combined interface and MIDI keyboard that's bundled with amp modelling software.Running extra effects inside an interface is very useful in two situations: when you're short of CPU power in your computer and want to offload some processing elsewhere, and when you want to bypass the latency associated with computer-based buffers. Early DSP-assisted interfaces either offered a generic set of workmanlike effects, such as those in Creative Labs Audigy and Emu's DAS (Digital Audio Systems) ranges, or one particularly desirable high-quality effect, such as the PCM90 reverb found in Lexicon's Core 32. However, a trend on more recent interfaces has been to offer a small range of high-quality effects particularly suited to the recording stage. Most vocalists (amongst other performers) find headphone monitoring of their live performance far easier if they can't hear any latency (delay) between what they're singing and what they hear in the cans, and may also need effects while they're performing. Even with the lowest buffer sizes offered by modern interfaces there's nearly always a few milliseconds of delay before you can hear signals that are being treated by plug-in effects inside your sequencer, but such delays are bypassed if you instead rely on effects running on the interface itself. The Alesis MultiMix 16 USB is a good example of the recent trend for analogue mixers to incorporate USB or Firewire interfacing, allowing them to do two jobs in the studio at the same time.The most useful effects for vocalists and other acoustic performers are compression (to even up levels), reverb (to place them in an acoustic space), and EQ (to alter the timbre), so these three effects are the most popular. For instance, TC Electronic's Konnekt 24D essentially offers a 4-in/4-out analogue format, but with the benefits of a Fabrik C channel strip (EQ, compressor, de-esser and limiter) and Fabrik R reverb, while Focusrite's Saffire and Saffire Pro 26 offer two analogue inputs and eight outputs, along with DSP effects including EQ, compression, reverb and basic amp modelling. The last is, of course, for guitarists, so they can plug in their instruments direct, yet hear them as if they had already travelled through a guitar amp/speaker combination. For those who need more sophisticated control over their guitar tone when recording it direct into a computer, there's now a comprehensive selection of physically modelled preamps with analogue line-level and/or digital outputs that you can connect to an existing audio interface, including various models from the Line 6 Pod and Behringer V-Amp ranges. It's also possible to buy audio interfaces which have their own physical-modelling features built-in. For example, Edirol have several interfaces in their range that offer COSM (Composite Object Sound Modelling), such as the UA4FX, with 14 effects including multi-band dynamics and tube preamp modelling. Those who have lusted after Line 6's Pod guitar processors may be interested in their Toneport range, which combines the same modelling quality as the Line 6 Pod XT range (this time in software form) with a USB computer interface. The Toneport KB37 model even incorporates a 3-octave keyboard, further blurring the boundaries between interface and MIDI controller. Meanwhile, products like Digidesign's Digi 003, M-Audio's Project Mix I/O and Tascam's FW1884 combine multi-channel audio and MIDI interfaces with moving-fader control surfaces. There's something to be said for not putting all your eggs in one basket, but there's also no denying the convenience of having all these functions in a single product. Debates on which audio interface 'sounds the best' abound on forums, but it's fair to say that you mostly get what you pay for, so more expensive models will have the edge on budget ones. However, even today's budget models sound extremely good for the price, while audible differences between more expensive models are often not as huge as some people expect. Nevertheless, they do all sound slightly different and different manufacturers are perceived to have their own strengths — so, for instance, Focusrite are widely praised for their mic preamps, TC Electronic for their low jitter and DSP reverbs, M-Audio for their versatility and value for money, RME and MOTU for their rugged reliability, and Lynx for their PCI soundcard quality. One aspect of audio interface design that often confuses the novice is the potential benefit of balanced I/O. Budget interfaces tend to offer unbalanced inputs and outputs, while more expensive ones offer balanced I/O. Connections between unbalanced outputs and inputs are made with 'single-core plus screen' cables that can pick up interference en route (especially with longer cable lengths). Moreover, where such cables connect two or more devices that are already earthed via their mains power supplies, the unbalanced cable between them creates a 'ground loop' that can result in background hums plus digital nasties including buzzes, whines and whistles that vary with mouse, hard drive, and graphic activity. Cable-induced interference problems disappear when you connect a balanced output via 'two-core plus screen' balanced cables to balanced inputs, because any interference picked up by the cable is picked up equally by both cores and is cancelled out at the far end, while potential ground-loop problems also disappear because the screen connection is this time not part of the signal path. You can find more about this in our FAQ on Audio Cables & Wiring in SOS January 2002 (www.soundonsound.com/sos/jan02/articles/faq0102.asp), and advice about ground-loop issues in SOS July 2005 (www.soundonsound.com/sos/jul05/articles/qa0705_1.htm). The moral of the story is that buying an interface with balanced I/O can save you an awful lot of potential audio quality problems when connecting multiple pieces of electronic gear. Nowadays it's rare to run into problems with background noise levels or distortion, even on budget interfaces, as long as you choose 24-bit rather than 16-bit for your projects and take care to record at sensible levels that peak at perhaps -12dBFS (Full Scale) on the typical peak-reading digital meters found in most audio interface Control Panel utilities. Sample rate is a thornier issue, especially since so many modern interfaces stress their 192kHz capability, and in some cases expect you to pay more for this feature. In practice, many musicians are still perfectly happy running their projects at 44.1kHz (especially if the final format is Red Book CD Audio), although quite a few are now running at 96kHz (particularly for orchestral, jazz, folk and other acoustic ensembles), and it's rare to meet many musicians who actually work at 192kHz! 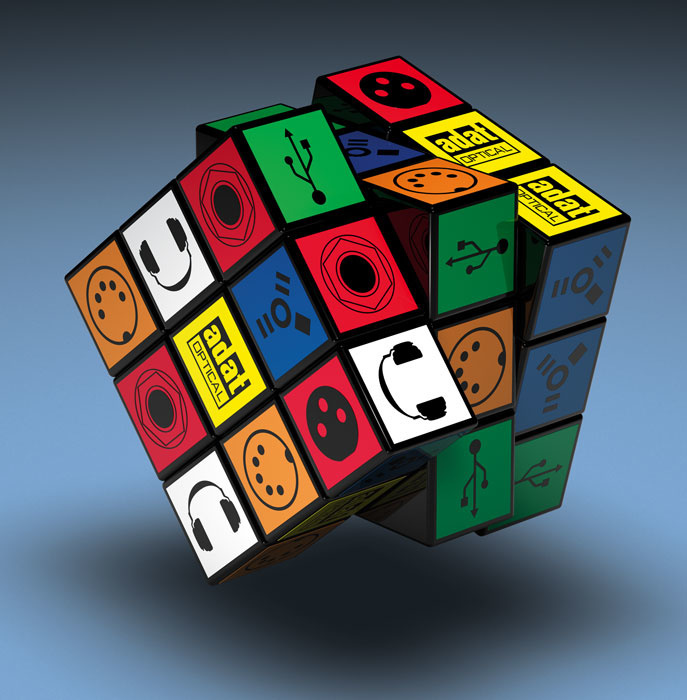 Digital audio quality is a complex subject, so if you're still confused, make a beeline for our 'Digital Problems, Practical Solutions' feature in SOS February 2008 (www.soundonsound.com/sos/feb08/articles/digitalaudio.htm). This article covers the theory of digital sampling, jitter and clocking, quantisation, dither and digital headroom, and is linked to downloadable audio files that are designed to demonstrate what typical digital problems can sound like. Other boundaries are being blurred by products that combine the functions of analogue mixing desk (including analogue EQ and true zero-latency monitoring) and audio interface into a single product: the USB/Firewire mixer. This approach can be particularly appealing to those who are already familiar with the hands-on approach of analogue mixing, but want the added convenience of being able to record multiple audio channels direct into the computer via a single cable. 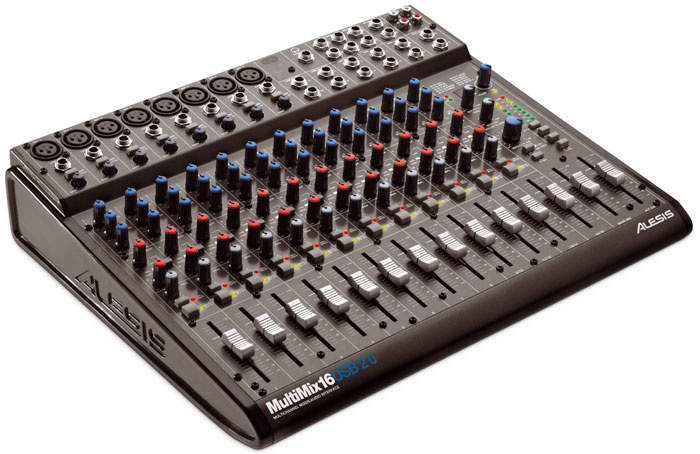 Cheaper models such as Yamaha's MW10 and Behringer's Xenyx 1204 tend to combine the various mixer channels into a final stereo send to the computer, whereas more expensive ones such as the Alesis MultiMix, M-Audio NRV10, Phonic Helix Board, and Mackie's Onyx series provide a separate feed from each channel to your computer, so you can continue to work on your mix after it's recorded. The choice of hardware format for your audio interface is far less of an issue nowadays than once it was, and in most cases you'll either rule out certain formats before making your shortlist because your computer doesn't support them, or ignore format decisions until you've narrowed down your shortlist. However, if you find yourself debating several interfaces with different computer connections, here are some of their pros and cons. 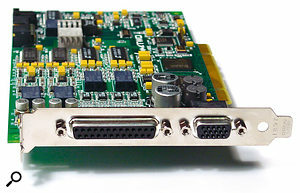 While USB and Firewire interfaces now seem to dominate the market, PCI soundcards such as the Lynx Two are capable of superb audio quality with very low latency at a competitive price.There are still advantages to the PCI and (still comparatively rare) PCIe soundcard for PC desktop users, such as generally tighter timing on MIDI ports, and potentially lower audio latency than either Firewire 400/800 or USB2 formats, while those two-part interfaces comprising a soundcard plus a remote 'breakout box' connected by an umbilical cable offer almost as much convenience as self-contained Firewire/USB interfaces, but don't generally require external power supplies. Audio quality is rarely compromised by a soundcard being bathed in the RF inside a computer case, as proved by the exemplary performance of soundcards such as the Lynx Studio Technology range, and other internal computer conflicts are also extremely rare nowadays. On the down side, PCI slots have been phased out on many modern Mac desktops in favour of the PCIe variety (as they will be in future PCs), and of course users do face the added inconvenience of having to open up their computer to install them. If you want a compact yet portable interface to partner a laptop, there are a few audio interfaces based around the Cardbus slots found in many laptops, such as Echo's Indigo range, Emu's 1616 and1616M, and RME's Cardbus adaptor. Inexpensive adaptors from companies such as Duel (www.duel-systems.com/products/adapters.aspx) also let you plug these into modern laptops that feature the newer Express Card slots. USB and Firewire are the two very popular and more portable alternatives, offering the convenience of stand-alone boxes that you can quickly swap between any desktop and laptop machine. USB has traditionally been considered the poor relation, largely because earlier interfaces designed for USB 1.1 ports struggled for bandwidth when attempting stereo in/out at a 96kHz sample rate. Digidesign's Digi 003 is at the better-specified end of the audio interface spectrum, so it's blessed with the majority of I/O connections you could need, including (on the left) XLR mic, line and instrument inputs and (centre top) analogue outputs; Firewire (bottom centre), with ADAT multi-channel optical digital I/O, S/PDIF stereo digital I/O, and word clock I/O next to it; and MIDI In and Out sockets (top right). Different combinations of these facilities are found across the range of audio interfaces on the market, so to choose the right interface, you need to first consider which facilities you really need.However, nowadays Hi-Speed USB interfaces can manage more simultaneous inputs and outputs than Firewire 400 devices, and although there's still a little snobbery around, in practice Hi-Speed USB (2.0) audio peripherals can work just as well as Firewire 400 ones. 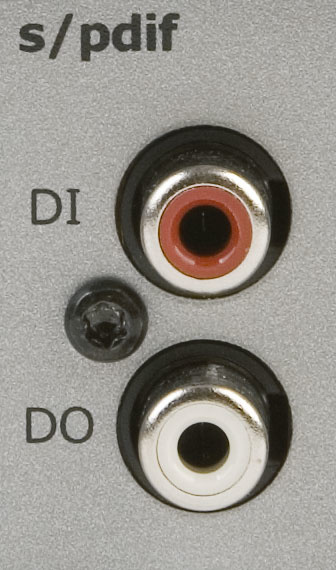 If your computer has Firewire 800 ports, you have double the bandwidth compared with Firewire 400, but few musicians will actually need the extra unless they require more than about 56 simultaneous channels of 24-bit/192kHz audio (although it's worth noting that your Firewire channel count will drop if you also want to chain other Firewire devices to the same port, such as external hard drives for recording and playback or a TC PowerCore Firewire DSP FX unit, for instance). Negative points for both USB and Firewire audio interfaces include intermittent connection problems with a few models (there's nothing more frustrating than your sequencer telling you there's no interface connected when it obviously is). Some Firewire models also include small extra buffers to help smooth playback performance, which increases overall latency slightly. In the case of Firewire interfaces you may also have to be careful about the make and model of controller chip found behind the Firewire ports on your computer, since some are not compatible with certain audio interfaces. Texas Instruments (TI) is the make most widely recommended by audio interface manufacturers, but you should consult the interface manufacturer's web site for specific chip-set recommendations to avoid problems. This isn't a PC-only problem: the Agere chip set used in new Macbook Pros and iMacs has been causing problems with various interfaces from Presonus and RME, among others. Another special format of interfaces is that of those compatible with Digidesign's famous Pro Tools platform. The flagship Pro Tools HD systems perform much of their processing on dedicated DSP cards, and have an associated range of professional I/O audio interfaces (HD1, HD2 and HD3). Those with more limited budgets who would like to be able to create projects with Pro Tools software (widely used by music professionals, and considered by many to be the 'industry standard' DAW) can buy an audio interface from Digidesign's own M Box and Digi 003 ranges. These come bundled with the consumer-level Pro Tools LE software. M-Audio now also have a selection of audio interfaces that are designated 'Pro Tools M-Powered' and designed to run with a special version of the Pro Tools LE software (Digidesign and M Audio are both divisions of parent company Avid Technology). All Pro Tools interfaces also have Core Audio and ASIO drivers, so they can be used with other sequencer packages, while Logic and Digital Performer go further and support the DSP features in HD rigs, allowing you to use TDM plug-ins within their own mixers.